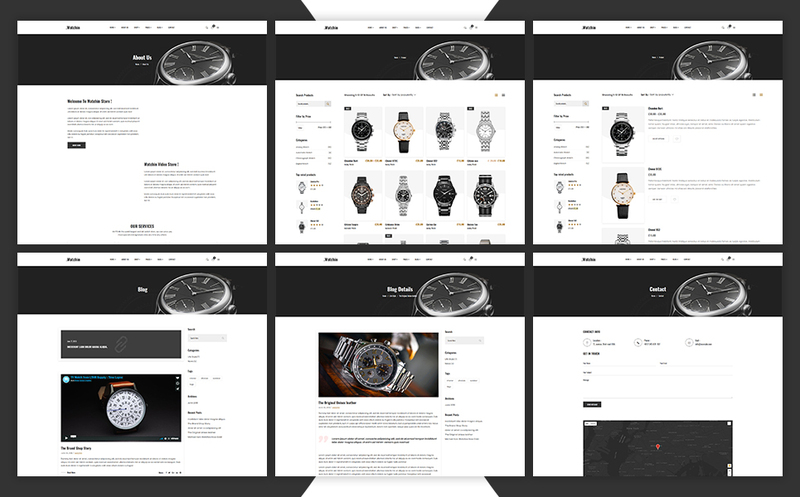 Watchin Bootstrap 4 theme comes with 3 different homepage layouts and 3 shop layouts. However, display your exclusive products, hot deals, new trending collection, related products in a luxurious way. Furthermore, promote those products by using beautiful slider and banner. The tremendous features of Watchin make your work effortless thatâ€™s why customization is so easy for you. 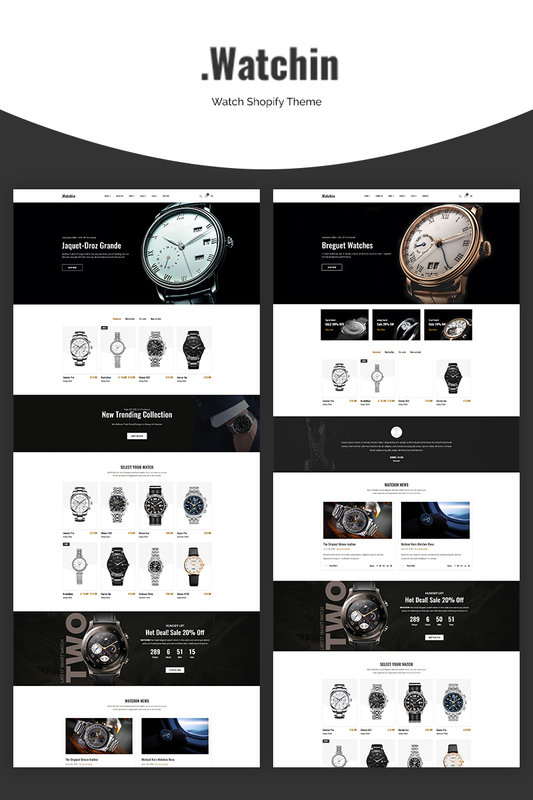 This premium Shopify theme has Newsletter Popup, Notification Bar, Mega Menu with Image, Drop-down Menu, Shop Grid/List View, Custom HTML Section, Ajax Cart, Wishlist, Quick View, Testimonial, and Latest Blog. In addition, get Contact Form, Google Map, Multiple Currency, Disqus Comment, Social Media Integration, 15+ Pre-Loader, Shortcodes and plenty more. Nice template for accessories store. Clean and does the job well.